A collaborative project with Paper Raven Co. Hard front and back cover, 100 lined pages, measures 8.5 x 5.75 inches. 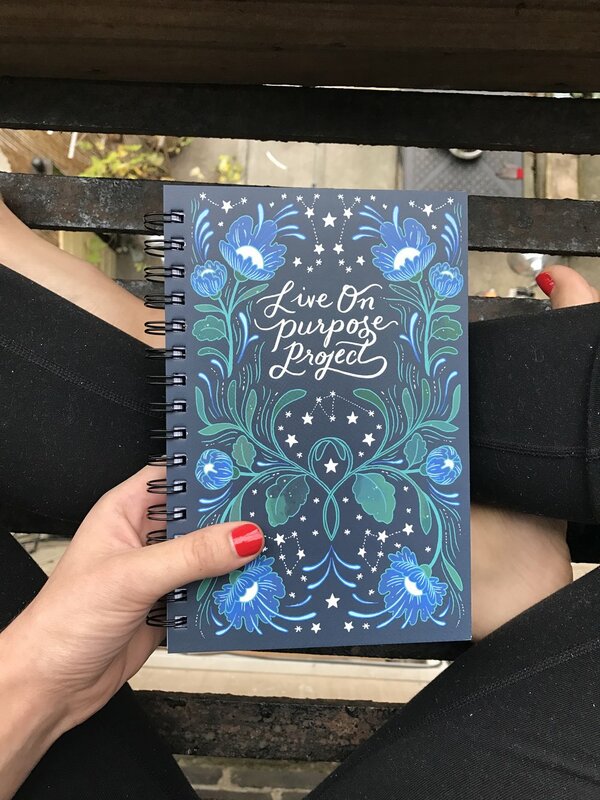 This project started on kickstarter.com, and was inspired by my own love of journaling and the perspective it's helped give me over the years, especially during times of personal transformation. Journaling can help you clarify your thoughts before the day begins, or dump all your worries out before laying down to sleep. It can help you reflect to find patterns in your own interests and behaviors, and given the right questions, can help you unlock your passion and purpose. My journaling habit led me to a constant search for fun, beautiful, and inspirational notebooks; and I finally decided to just make my own! I'd been following Paper Raven Co for a while on instagram, and loved Erin's work. 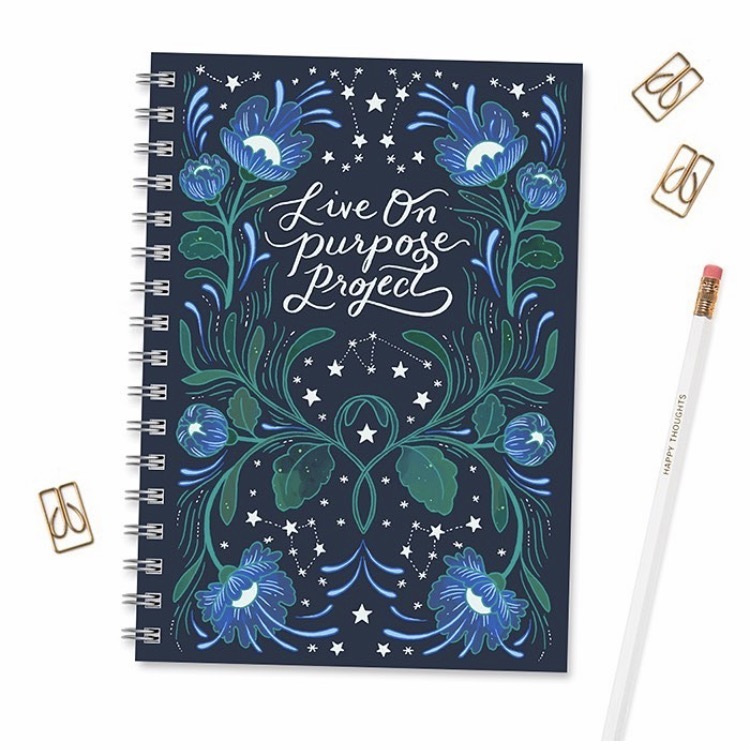 After collaborating for a custom piece last spring, I could tell we meshed and that she'd be a perfect person to design the Live On Purpose Project Journal. My hope is that her gorgeous design inspires you to write more often, to vent in a safe space, to ask yourself more questions, to consider what it means to YOU, to live life on purpose. My hope is that this idea spreads, and that there is one more beautiful notebook in the world, with pages to be filled with all the great stories to come. Write your story - Document your life - Live on purpose.